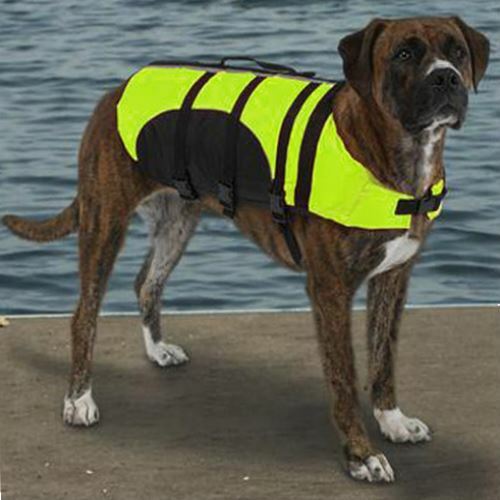 This Guardian Gear Yellow Dog Life Jacket is made with two layers of flotation material. Other features for the Yellow Dog Life Jacket include extra high visibility materials, dual reflective strips, a leash attachment loop, and quick pickup handles to make easy work of dog-overboard rescues. This life jacket will fit a small size dog.